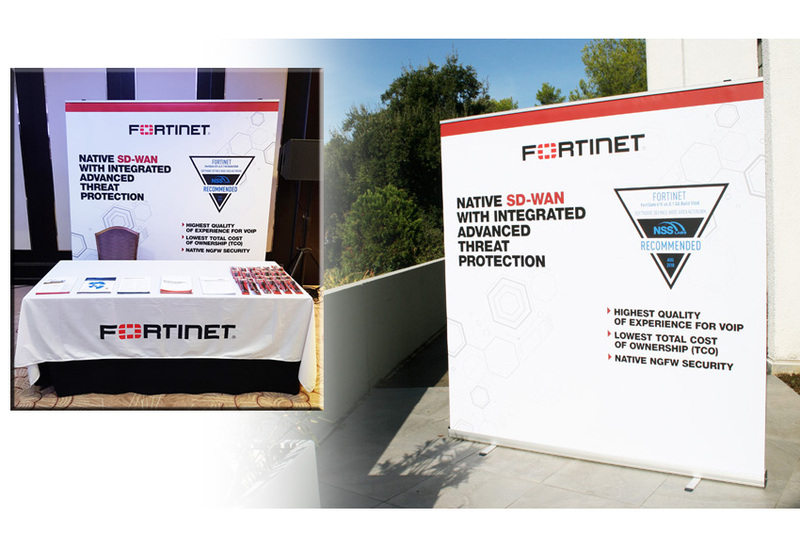 Our client, Fortinet, ordered a large roll-up (2x2m) for their event: the # WANSummit2018. This is a very good solution for a stand because this large roll-up allows to have as a "wall" in your image and therefore a better visibility for your potential customer.. Contact us for a quote request! We offer manufacturing but we can also create the support to your image!